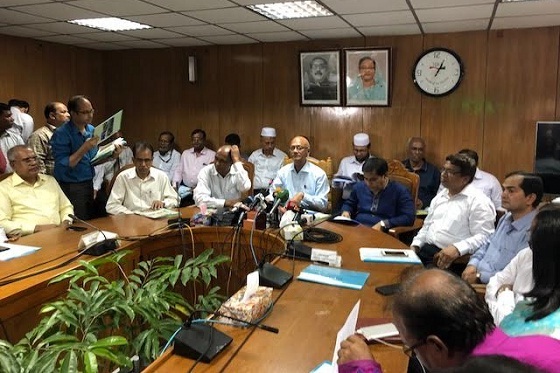 Education Minister Nurul Islam Nahid on Thursday said that the priority was given this time to qualitative standard in the evaluation of HSC answer scripts. The minister said this while replying to questions from reporters over the falling trend in pass percentage in the HSC and its equivalent examinations. The results of Higher Secondary Certificate (HSC) 2018 and its equivalent examinations were published on Thursday, showing a pass percentage of 66.64 percent against last year’s 68.91 percent. The number of GPA-5 achievers also declined this year.